For almost 100 years, Taras Shevchenko, the celebrated poet and painter who challenged the autocracy of Tsarist Russia and called upon Ukrainians to fight for freedom at a time when Ukrainian nationhood was at its weakest, has been a focus of Chinese-Ukrainian cultural relations. Chinese intellectuals first came across his poetry in the early twentieth century. He was later celebrated in the People’s Republic of China as a ‘poet of oppressed people’. His humble beginnings as an orphaned serf, as well as his millennarian vision of egalitarianism, self-improvement, and sovereignty continue to resonate in China today. In 2016, a landmark series of art exchanges took place between Ukraine and China. It culminated with the opening of the Taras Shevchenko Museum in Beijing in September 2016, the first institution of its kind to be funded fully by a foreign government and not the Ukrainian state or diaspora. This joint Chinese-Ukrainian initiative united the Chinese Academy of Painting and Calligraphy, the National Taras Shevchenko Museum and its fraternal organizations, and the National Academy of Fine Arts and Architecture of Ukraine, as well as both Embassies. It has challenged professionals and laymen alike to reconsider the symbolic and transformative role that Taras Shevchenko’s work continues to play in Ukrainian society today. Taras Hryhorovych Shevchenko, who was born into a peasant family in the Ukrainian village of Moryntsi on 9 March 1814, led a relatively short yet vigorous life that was a triumph against the odds. He was orphaned at 12 and spent his early life in servitude before being liberated from serfdom at 24 by friends and patrons who recognized his colossal artistic talent. Initially an autodidact, Shevchenko became a Master Engraver at the St Peterburg Academy of Fine Arts, creating around 1200 artworks in his lifetime and a literary legacy which is credited with establishing the modern Ukrainian language and literature. As a dissident in imperialist Russia who wrote anti-tsarist satirical poetry in the ‘peasant language’, he was sentenced to exile in a remote Kazakh outpost and banned from writing or drawing. Shevchenko, however, managed to continue producing work, which he hid in his shoes. He died at 47, having achieved prominence in his lifetime as a symbol of Ukrainian nationhood. When the People’s Republic of China was established in 1949, the new government looked to the experience of ‘oppressed peoples’ to find figures that would inspire a new generation of Chinese. Taras Shevchenko was one such figure. During the 1950s, the National Taras Shevchenko Museum in Kyiv received numerous Chinese delegations that came to learn more about the mustachioed freedom fighter. However, after the Sino-Soviet split of 1960, relations ceased across virtually all spheres. This recent ‘Unfading Glory. In Honour of Taras Shevchenko’ initiative was a multi-tiered cultural exchange programme which sought to pick up this thread and to build institutional links between cultural workers in China and Ukraine. Initially designed as a research expedition for Chinese artists, the project snowballed, leading to the establishment of the Taras Shevchenko Museum in Beijing in September 2016. Initial plans anticpated a Chinese delegation producing a series of unique artworks on the subject of the great poet’s life, work, legacy, and culture. And while the Chinese side funded the initiative fully, it was not without its ups and down. Indeed, at times it seemed as though the ark would never arrive at shore. Curators Alan Yu, Vice-President of the Chinese Academy of Painting and Calligraphy, and Yulia Shilenko, Chief Custodian at the National Taras Shevchenko Museum in Ukraine, had been in correspondence about a potential project since 2013, the year Xi Jinping announced his ‘One Belt, One Road’ initiative. Yu had previously curated exhibitions of this kind in Europe, and took a particular interest in the culture of Ukraine. Shevchenko seemed to him a worthwhile subject, a suitable platform for intergovernmental cultural exchange. Ukraine’s 2014 revolution and the hybrid war with Russia that followed put all Chinese initiatives in Ukraine firmly on hold. Indeed, the fact that talks resumed in 2015 is testament to the deep personal interest and involvement of Yu and Shilenko, who insisted on the need to move ahead with the project. Finally, in August 2015, a delegation of acclaimed Chinese artists arrived in Ukraine to learn more about Taras Shevchenko’s legacy. The delegation comprised Qin Long, Gu Honghai, Wan Hongwei, Jiang Xiuqing, Wang Jiaxun, Yu Feihong, Dai Shihe, Nie Weigu, Fu Lili, Nie Yuxiao, Anna Liu, and assistant curator Yu Feihong, with Alan Yu at the helm. The artists had the opportunity to visit the locations linked to Taras Shevchenko’s life and times, as well as experience the customs and ambience of the Ukrainian village. Together they worked on a series of sketches and paintings. The Chinese artists were encouraged to immerse themselves in Shevchenko’s verse and to interpret it visually. Moreover, the cultural project had artistic and literary components: the publication of the first ever complete Chinese-language literary translation of the ‘Kobzar’ (‘The Bard’) poetry collection made from the original Ukrainian, and not Russian. The art exhibition, auspiciously titled ‘Unfading Glory. In Honour of Taras Shevchenko’, opened at the National Taras Shevchenko Museum in Kyiv on 11 May 2016. It featured 30 artworks including both traditional ink paintings and calligraphy along with the adopted form of oil painting. The Chinese artists interpreted well-known works of Shevchenko, for example, ‘Kateryna’, which tells the story of a Ukrainian peasant girl who is abandoned with child by a Russian soldier. Although the exhibition was not intended to convey any political sentiment – other than China’s interest in building further cooperation with Ukraine – a favourable subtext emerged. Dong Hao’s ‘The Poet and the Taiping Rebellion’ recalls a diary entry in Shevchenko’s journal, which suggests that he followed the events of 1850-64 with interest – and that the Chinese have also been aware of the Euromaidan protests! Meanwhile, the unequivocally titled ‘Swallow’s Nest, Crimea, Ukraine’ by Nie Weigu leaves no doubt as to the artist’s convictions on Russia’s territorial aggression. Indeed, the Chinese government has been as critical of the annexation as their wider foreign policy framework has allowed. Many artists turned to the image of Shevchenko himself. “Taras Shevchenko embodies the spirit of Ukraine, he is a freedom fighter of the Ukrainian people and the face of the nation,” the pensive Alan Yu reflects. “He is not only a known figure in the educated circles in China, alongside Pushkin and Mickiewicz, Goethe and Burns, but he is someone whom I personally empathize with, as do many of the artists from the delegation, who also knew hardship early on in their careers.” Yu is also a respected publisher and editor, who expressed his admiration for the great Ukrainian by producing a beautifully illustrated catalogue of the exhibition, securing contributions from high-profile Chinese academics including Liu Dawei, the President of the Artists’ Association of China – thus raising the value of the project in the eyes of the Chinese. This was a key element in presenting the results of the hard work to the Chinese establishment, as well as recording it for posterity. The exhibition made a short tour of Ukraine, stopping at the Kaniv-based Shevchenko Memorial Museum on 11 August, not far from the poet’s resting place, before going to Beijing’s World Art Museum, a prestigious venue in the centre of the Chinese capital, for a symbolic homecoming. Here the Chinese delegation presented the fruits of their labours to the Chinese public and officials. An installation of traditional Ukrainian rushnyks (traditional woven embroidered cloths) from the private collection of Viktor Yushchenko completed the display. The former Ukrainian President, a patron of the National Academy of Fine Arts and Architecture, was among the high-profile guests in attendance. The event served to celebrate the opening of the Taras Shevchenko Museum in Beijing, a spacious venue of around 10,000 square metres situated on the premises of the Li Keran Memorial Complex, an artistic and research institution supported by the Chinese government. The choice of the Li Keran Complex as a base for the Taras Shevchenko Museum is significant for a number of reasons. Firstly, the venue is widely attended by established artists, academics, politicians, and government officials. Li Keran (1907-1989) was a painter, poet, and art educator, a prominent figure in twentieth century Chinese art. Secondly, it points to the parallels between Shevchenko’s romantic sensibilities in both poetry and art, and Li Keran’s traditionalist modernization. The poet-painter personality appeals to the Chinese, many of whom see the art forms as inseparable. Thirdly, this is the first museum of the famous Ukrainian created not by the diaspora or the efforts of the Ukrainian government, but funded and organized entirely through the will and effort of the Chinese government and private Chinese patrons. 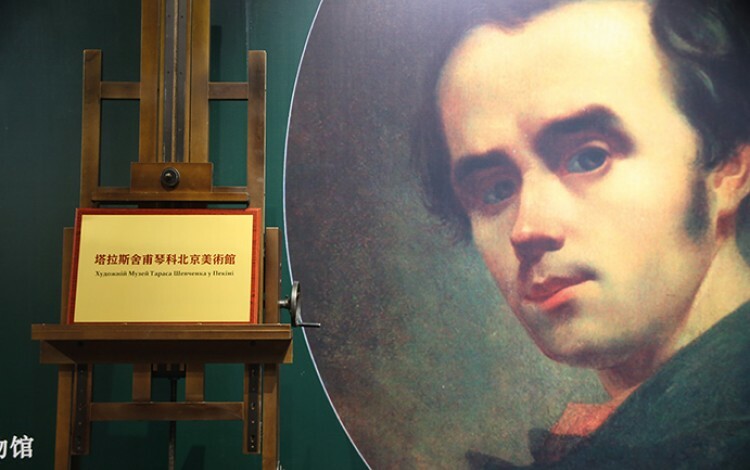 It is the Chinese side that recognized the importance of Taras Shevchenko for China, weaving the Taras Shevchenko Museum into the fibre of the cultural establishment. Experts hope that this will lead to new contributions to knowledge about the artistic phenomenon of Shevchenko, as well as interesting comparative studies uniting Chinese and Ukrainian art in academic research. This was not the first time that the great Ukrainian had been honoured in China. In 2008, a bust of Shevchenko by celebrated sculptor and ‘diplomat of portraiture’ Yuan Xikun was unveiled at Beijing’s Chaoyang Park, just ahead of the opening ceremony of the Summer Olympics. The ceremony was well-attended by Ukrainians and Chinese from political and artistic circles, as well as members of the Ukrainian diaspora in China. Of the 130-odd monuments to the great poet that exist across 35 countries, this is a prominent example, because it was conceived and funded by local authorities. It remains the only statue of the great Ukrainian in the Asia Pacific region. Not that Ukrainians have not been active in promoting their culture in China. The Ukrainian Embassy in the People’s Republic of China hosts and organizes events, including charity art auctions, and has been involved in helping to coordinate ‘Unfading Glory’. Current Ambassador Oleh Diomin, whose involvement added gravitas to proceedings, was cited as a co-curator by Alan Yu as a mark of respect for the diplomat. In September, The Ukrainian House officially opened in Beijing. The organization is designed as an initial point of contact for Ukrainian entrepreneurs seeking to try their fortunes in China, although the Ukrainian House has also participated in a number of cultural initiatives since its inception. Its activity is supported by the Ukrainian Embassy, although funding comes from a private patron – the Chinese billionnaire Wang Jin, owner of Beijing Xinwei Telecom Technology corporation. Socialist Realist art is another Ukrainian cultural export that moneyed Chinese have a particular interest in. It presents Ukraine as a country with an established academic culture, capitalizing on the Soviet-era prestige it enjoyed in China. The largest exhibition of Ukrainian oil paintings in China to date, ‘Beauty is Life: Ukrainian Art of the Soviet Period, 1945-1991’, took place in Weifang in 2011, and was also funded by a private patron. The display, which was curated by Natalia Bratytsia, brought together over 300 paintings by prominent Ukrainian artists and was rated favourably in The People’s Daily. Li Geng, the Director of the Li Keran Memorial Complex, is hopeful that the Taras Shevchenko Museum in Beijing will serve as a platform for future exhibitions of Ukrainian art, and that original artworks by Ukrainian artists will compliment its current collection, which consists of paintings and calligraphy created during the 2015-2016 exchange, as well as over 100 reproductions of Shevchenko’s graphic works. During a press conference in Kyiv, Li Geng recalled the affection that many members of his generation felt towards the Soviet Union, so while his generation remains in power, it may be undiplomatic to wholly write off Ukraine’s Soviet legacy while devising a new cultural-diplomatic strategy. ‘Fight, and you shall overcome!’, wrote Shevchenko. Among Ukraine’s national symbols, Taras Shevchenko cuts a striking figure, one that has genuine traction with both the Ukrainian establishment and the people, who is also known at home and abroad. His popular appeal was so great that even the Soviet government couldn’t eradicate it, choosing instead to hide him in plain sight, appropriating him as a ‘humanist’, ‘atheist’, and ‘anti-imperalist’. Shevchenko hangs on Dr House’s wall in the famous American TV series and turns up on the front cover of New Order’s ‘Taras Shevchenko’ live video, filmed in 1981 in New York’s Ukrainian National House. Shevchenko’s image was used by Euromaidan protesters, and the Ukrainian soldiers who serve at the front today are issued with a miniature camouflaged copy of the ‘Kobzar’. However, it would be naive to suggest that to the average Chinese, or indeed any other foreign national, the name ‘Shevchenko’ speaks about national liberation rather than football. 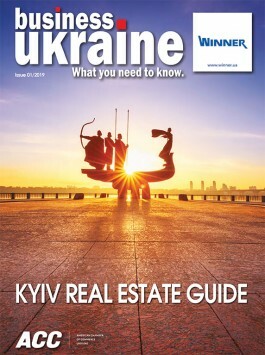 While he may not have the mass appeal of a rock star or a footballer in terms of promoting Ukraine globally, Taras Hryhorovych has proven his worth in facilitating dialogue among the educated elites, and ‘Unfading Glory’ is undoubtedly the best example of cultural exchange in Ukraine’s recent history. We hope that he paves the way for greater interest and understanding between China and Ukraine in the years to come. About the author: Myroslava Hartmond is the owner of Triptych: Global Arts Workshop (www.t-gaw.com), one of the first private art galleries in the ex-USSR est. 1988, and a Research Associate of the Centre for International Studies, University of Oxford, where she explores the role of cultural diplomacy in Ukraine.